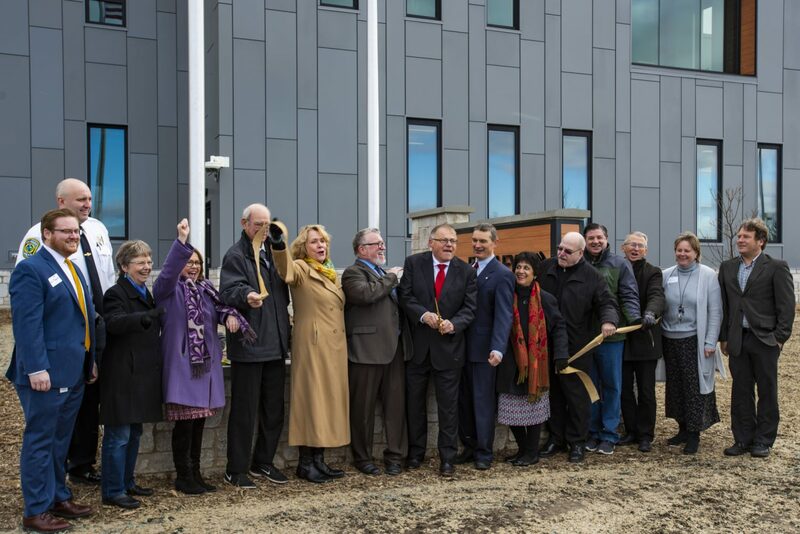 BKV Group celebrated the grand opening of the Civic Campus in Fridley, Minn. Saturday, Nov. 17. 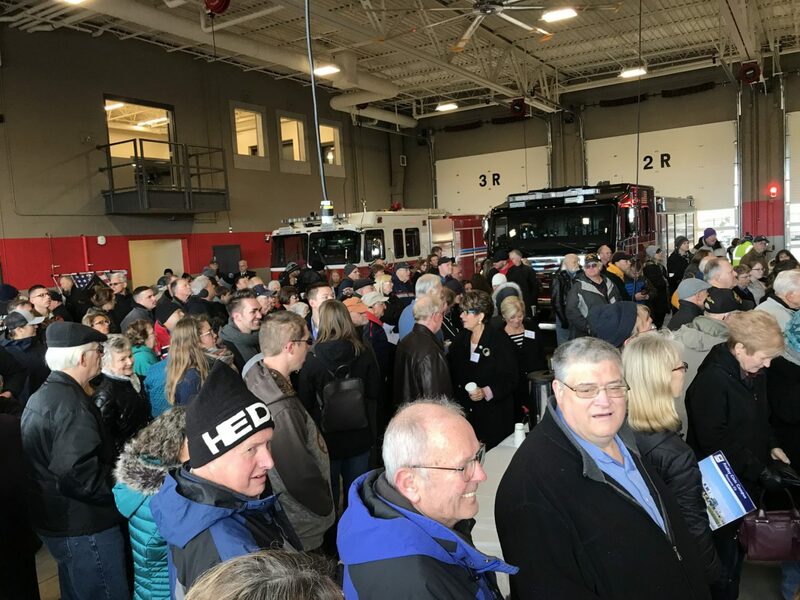 The celebration featured remarks from Mayor Scott Lund and community development director Scott Hickok, a ribbon cutting ceremony, a flag-raising, and refreshments. City officials also provided tours of the campus for the hundreds of people who attended the event. The 184,000 square-foot campus was conceived as a “City Center” – a nexus point situated in the heart of Fridley on a 38-acre property. 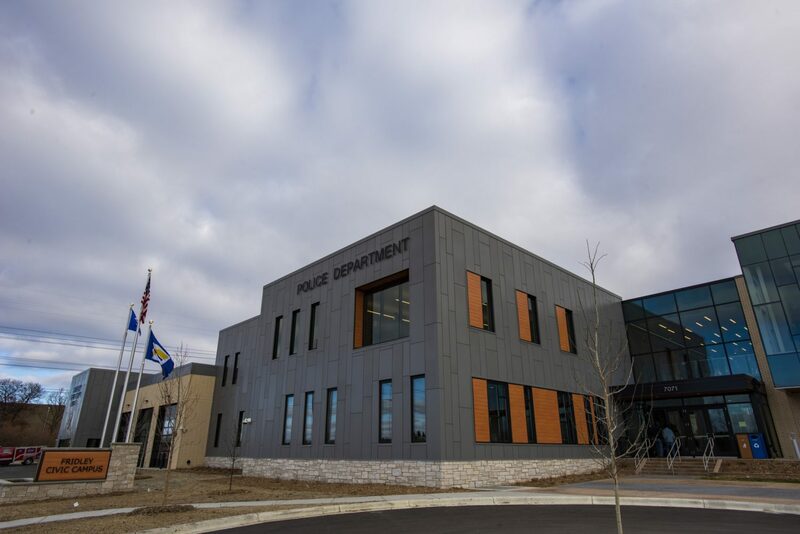 The project includes a new city hall with administrative office and associated areas, police station, fire station, and a new public works facility, with parking to accommodate staff and public. The site was once occupied by the Columbia Arena, which sat vacant for more than ten years. City officials hope that the new campus can provide a point of focus for members of the community. The civic complex is a central feature in a larger project currently called the Columbia Arena Redevelopment. The project also includes a central water feature, with plans for future private development. We understand that successful public architecture extends beyond the building and into the broader context of community. Our team of experts is dedicated to working with our clients to design buildings and interiors with a sense of place and presence while meeting practical needs and improving working environments across a wide range of public building types.